The Layla 24 inch mirror presents a sleek and attention-grabbing profile that will make your bathroom "The Room" in your home. A pristine white finish and quality craftsmanship, the Layla mirror can be a perfect match for any house or bathroom decor. It also comes with a wall cleat for easy hanging. The Hamilton 24-inch x 32-inch mirror reflects the stylish Americana design of this popular collection. A perfect coordinating piece to the Hamilton vanities and linen tower. 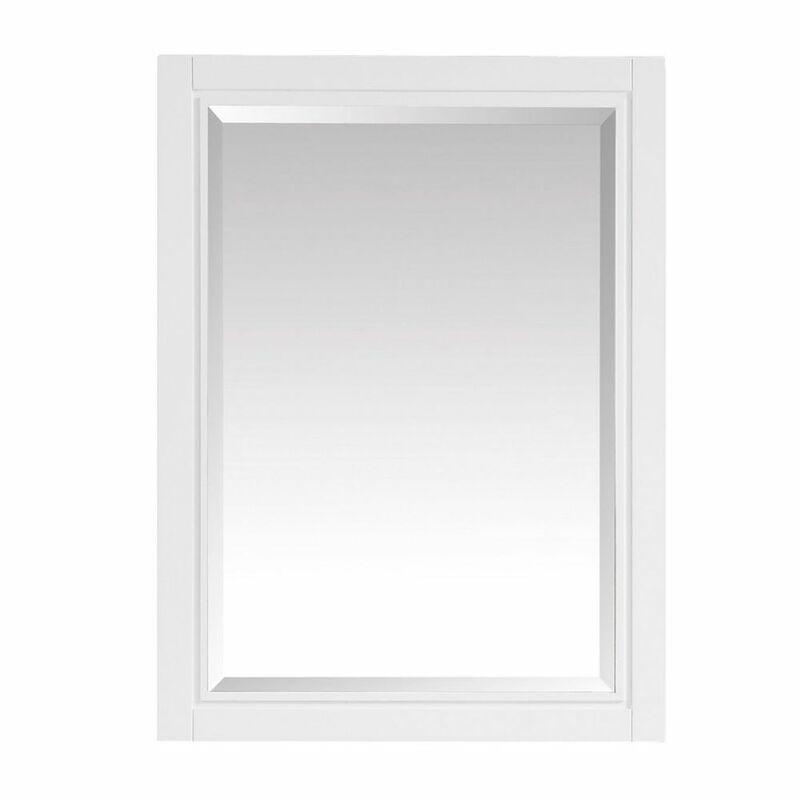 The mirror hangs vertically and features a beveled edge and French white finish. Layla 24 inch Mirror in White The Layla 24 inch mirror presents a sleek and attention-grabbing profile that will make your bathroom "The Room" in your home. A pristine white finish and quality craftsmanship, the Layla mirror can be a perfect match for any house or bathroom decor. It also comes with a wall cleat for easy hanging.